Smith ran unsuccessfully for Mayor of Seattle twice, but he served eight years as President of the City Council, spearheading programs on behalf of the city’s racial minorities. 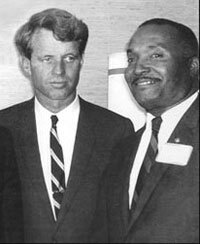 He also paved the way for subsequent African American and Asian politicians such as Mayor Norm Rice, Governor Gary Locke, and King County Executive Ron Sims. An admirer, Republican leader Slade Gorton (then in the state House minority and later U.S. Senator) once made a floor speech admonishing Democrat Smith, saying “he doesn’t know what it feels like to be in the minority.” “Oh, yes I do,” said Sam, the only African American legislator in Olympia at the time. His now famous retort produced bi-partisan laughter from legislators, press, staffers, kitchen help and visitors. Among his many accolades, Smith was honored by the Seattle Municipal League as an “Outstanding public official” in 1985 and in the same year Washington Governor Booth Gardner designated “Sam Smith Day” in his honor. Sam Smith retired from the City Council in 1991 and died at his Seattle home in November 1995. “Sam Smith,” Interview, Oral History Project, Washington State Library, Tumwater, Washington. Interviews of Sam Smith by Shelby Scates for the Seattle Post-Intelligencer and the Seattle Argus, 1965-1977.